Seattle in October is a socially-inclined techie’s dream. From NWEN’s (Northwest Entrepreneur Network) Entrepreneur University and GeekGirlCon in mid-October, there is barely a day that doesn’t offer up an opportunity to see a panel discussion about future trends in technology and design. And there’s the networking – ubiquitous throughout the day. We’re cresting with Seattle Interactive Conference (SIC) – three days of keynotes, panels and social functions that start tomorrow. Full disclosure: SIC’s warm-up event that has just finished this afternoon. AT&T’s Mobile Hackathon (focused on wearables) began on Saturday morning and ended late today with a pitch session by all teams. The five top teams will pitch to a panel of industry experts at SIC on Tuesday afternoon. And tonight – even early Monday morning, when many of you will see this – it’s all yet to unfold. The event kicks off at 9AM with a keynote by Seattle Mayor Mike McGinn. After that, talks and panel sessions blast off in all directions – choose whether to be entertained by Onion founder Tim Keck, or inspired by Antonio Holguin of Smashing Ideas, who’s ready to help you explore ways to grow your creativity. With multiple concurrent sessions throughout each day, you’ll want to plan your time and it’s easy to preview offerings online. For those who are curious about the Comm Lead program, this is a rare opportunity to see so many faculty and alumni in one venue. It’s not your last chance, though. 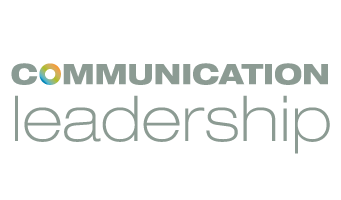 Interested in learning more about the Communication Leadership program? Attend our upcoming Information Session on Thursday, November 14th.